Whiplash reforms face further delays but how are cyclists impacted? How can you help manage pain with movement? Protecting your staff - what are your responsibilities? No surprise that the Government’s controversial whiplash reforms have been delayed yet again; this time rescheduled to be introduced in April 2020. Of course, the reforms had already been pushed back by the Ministry of Justice, from the intended implementation date of October 2018 to April 2019, but an extended delay of 12 months has not dampened the anger of cyclists and lobby groups. But what will these reforms mean for cyclists when they are finally introduced? The bill has come under severe criticism from cycling groups who claim that instead of receiving support from the Government, vulnerable road users have been unfairly targeted by the new rules. Firstly, whiplash claims will be capped, affecting all road users involved in accidents. But more importantly for cyclists is the significant rise in the minimum value for personal injury claims for road accidents will rise to £5,000, over double the amount for claims on any other injury. This means that cyclists especially will find it harder to get compensation for minor injuries after traffic accidents. 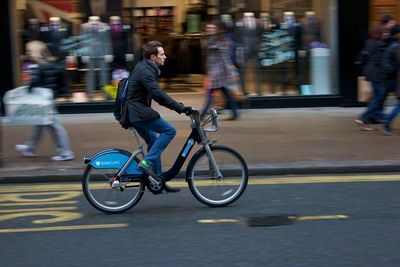 Cycling UK, a lobby group for the cycling community, estimates that this change will affect 70% of accident claims from cyclists. These claims will have to go through the small claims courts meaning that victims will be unable to reclaim the cost of legal representation. A legal expert in bicycle accident claims explains that this increase in the minimum value of claims will discourage and, in many cases, make it financially impossible for some victims to seek compensation. Not only are cyclists more likely to be a victim in an accident, this incoming bill will also make it harder to claim compensation if they do. This will amount to a cut in compensation in real terms – victims might win £4,000 but they may have to fork out £3,500 in legal costs. The incoming bill will undermine victims’ ability to claim compensation whilst simultaneously placing a disproportionate burden on vulnerable road users such as cyclists. It has also been pointed out that the effects of this bill also contradict the Government’s plan to increase the numbers of people walking and cycling to reduce obesity. Another issue is the concerning message this presents – that the injuries of vulnerable road users, including cyclists, are not taken particularly seriously. According to Government figures, over 100 cyclists died in accidents with cars during 2016; in a collision the cyclist will always come off worse, and as this bill financially punishes cyclists in the event of an accident, it is understandable that there is real anger amongst the cycling community ahead of this bill’s introduction. The bill is good news for drivers as their insurance premiums are set to fall, partly as a result of fewer expected claims against them. It is expected that annual insurance premiums will fall by £1bn, predicted to save the average motorist about £35 a year. When introduced, the bill aims to reduce the number of fraudulent claims and tackle what the Justice Secretary described as the UK’s “compensation culture”. Although, action clearly needed to be taken against a rise in fraudulent claims this incoming bill is unwelcome. The Justice Secretary used a 50% increase in the number of road traffic accident personal injury claims over the last decade; however, as the number of cyclists on the road has soared in that time, then the amount of claims would surely go up too. Insurance companies are set to be the biggest winners as a result of this incoming legislation, despite lower premiums for drivers. After all, fewer claims mean that these companies will have to pay out less to victims. Cycling UK, RoadPeace (the national charity for road crash victims) and Living Streets (the national charity for everyday walking) teamed up to question the Government’s motives behind this bill and to question whether victims are valued as highly as the insurance industry. The eventual introduction of this bill will be much welcomed by figures in the insurance industry, which has long campaigned for a change in personal industry claims. Now it seems they have got their wish, to the detriment of cyclists and other vulnerable road users.